And when it comes to tracing our ancestors, that statement couldn’t be more accurate. 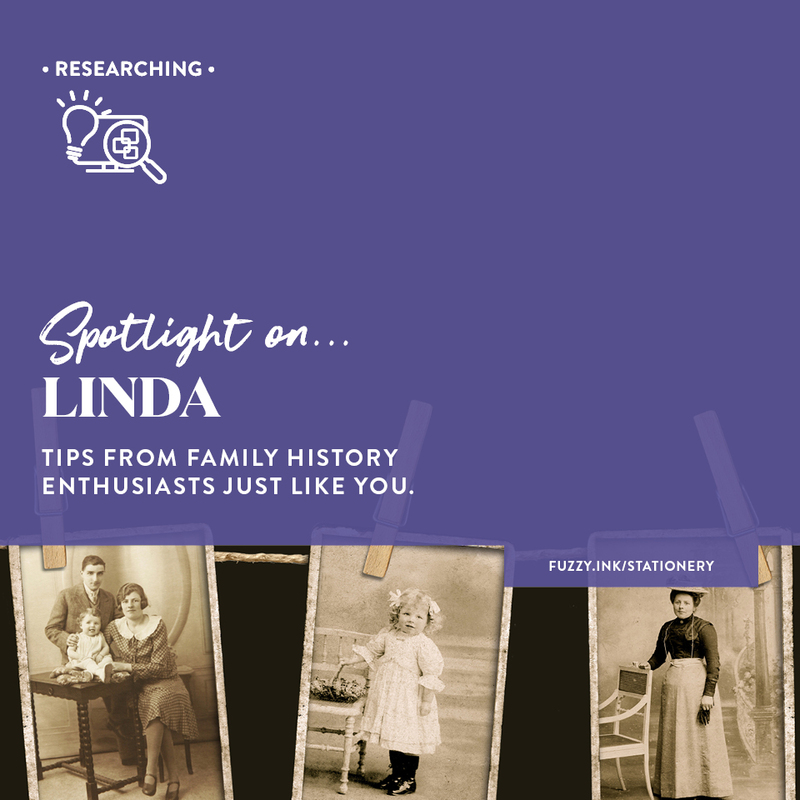 We can learn much from other family history enthusiasts, whether it’s a time-saving tip or a change to the way we work. But where do you find these great shareable tips and tricks? Facebook groups, genealogy forums and now, this blog. 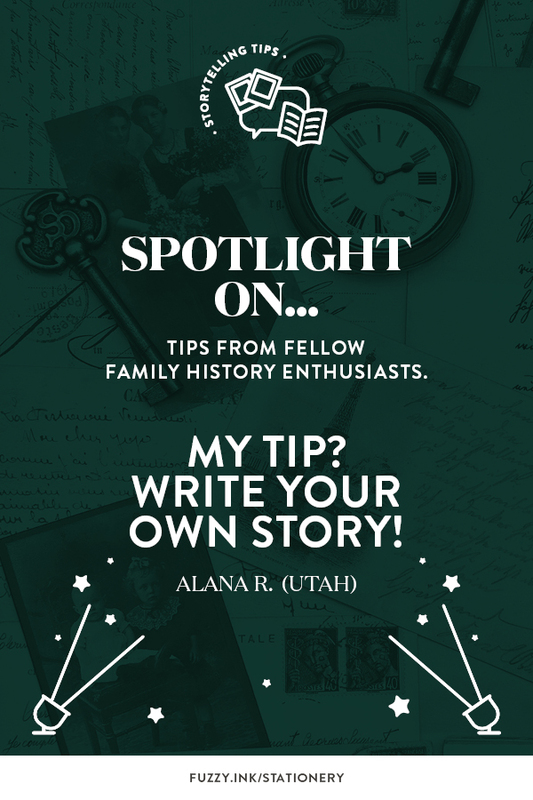 Every two weeks I’ll be shining the spotlight on one of you to share your best tip or story. Get inspired by experiences or find new ways of discovering and capturing stories. Alana from Utah has spent a little more than ten years looking for her ancestors, and she’s not stopping yet. 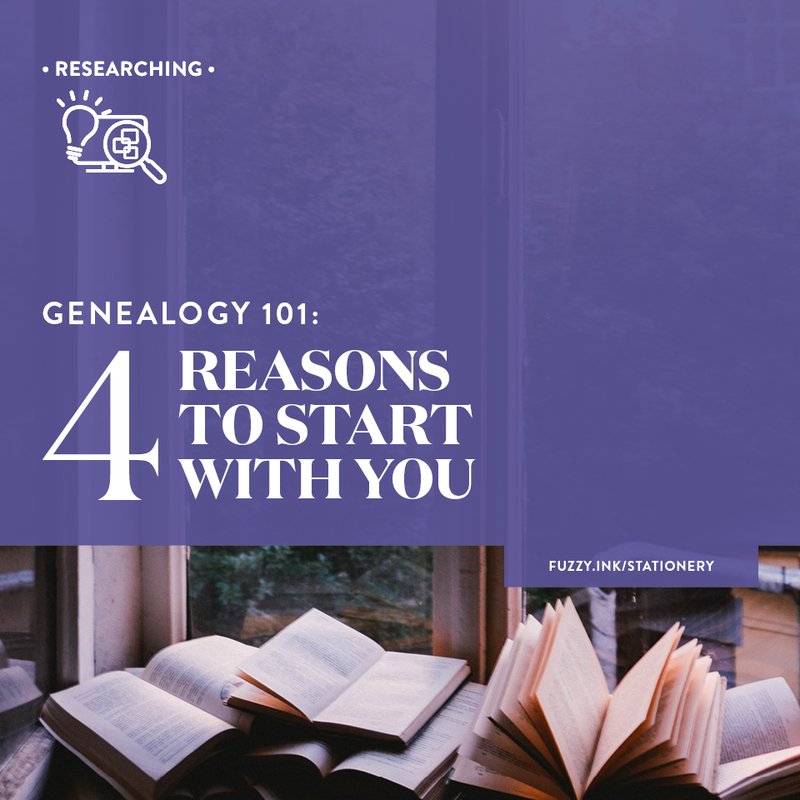 Her genealogy journey began with her maternal 2x great-grandmother and grew from there. Once that genealogy bug bit, there was no slowing her down! Her current goal is to transform her research into easy-to-read formats for her family. So she is making all those years of hard work accessible and digestible for her descendants. Now that’s a goal I can get behind! I completed a set of 25 ancestor cards for my family and after doing a lot of research, reading LOTS of stories, long and short, and talking to relatives, I found conflicting details and opinions about my ancestors. 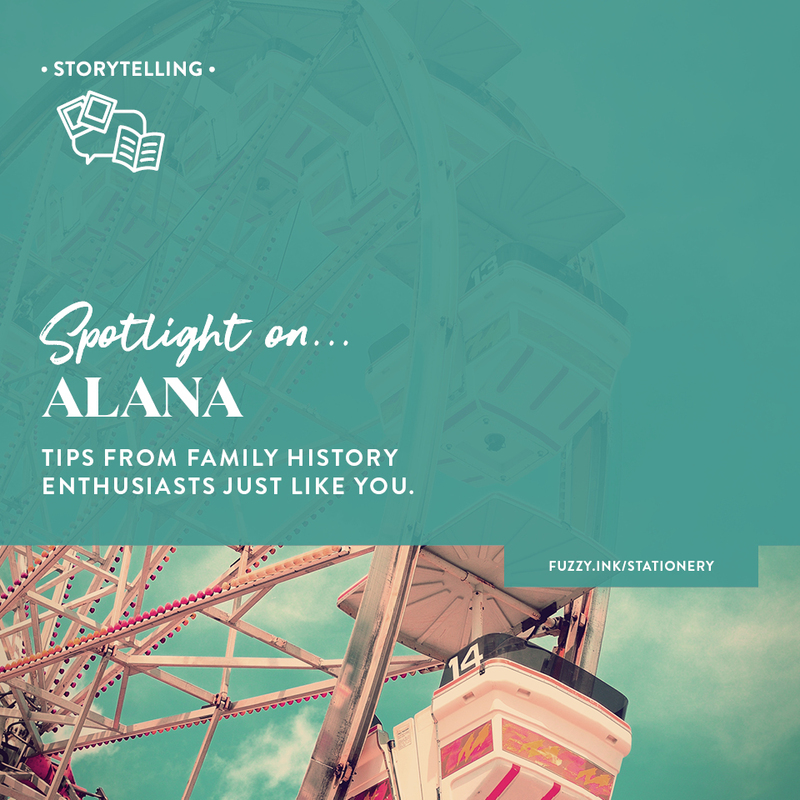 It made me realize that one of the most important things you can do is write your story and take the guesswork out of your life for your descendants. 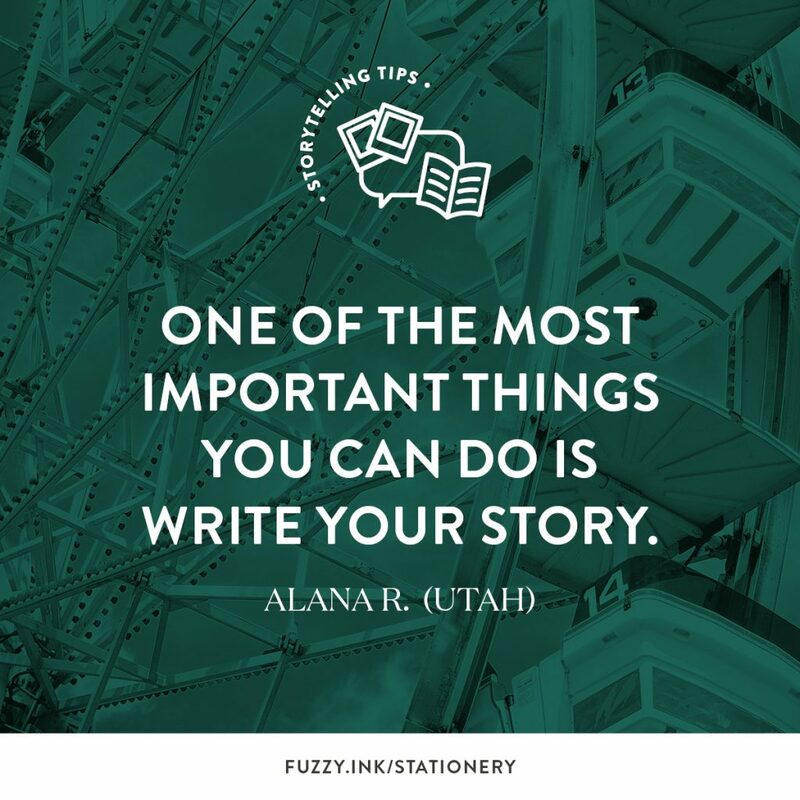 So that’s my tip….write your own story! YES! That resonates with me as many of my family stories conflict with the records that are in the archives. So I have to be creative in how I use both when I never know the truth. After all, once you exhaust all research options guesswork is all that’s left. We now live in a technology-filled world. One that is changing every day while encouraging us to leave more and more of ourselves online. Technology means we are leaving a more significant information footprint than our ancestors. But is it telling the story that we want our descendants to hear? Or is our online presence only a tiny part of a much bigger story? Are you picturing your life in encyclopedic tomes on a bookshelf? Eeep! That sounds overwhelming, and it doesn’t have to be. Let’s shelve the overwhelm and make it simple. 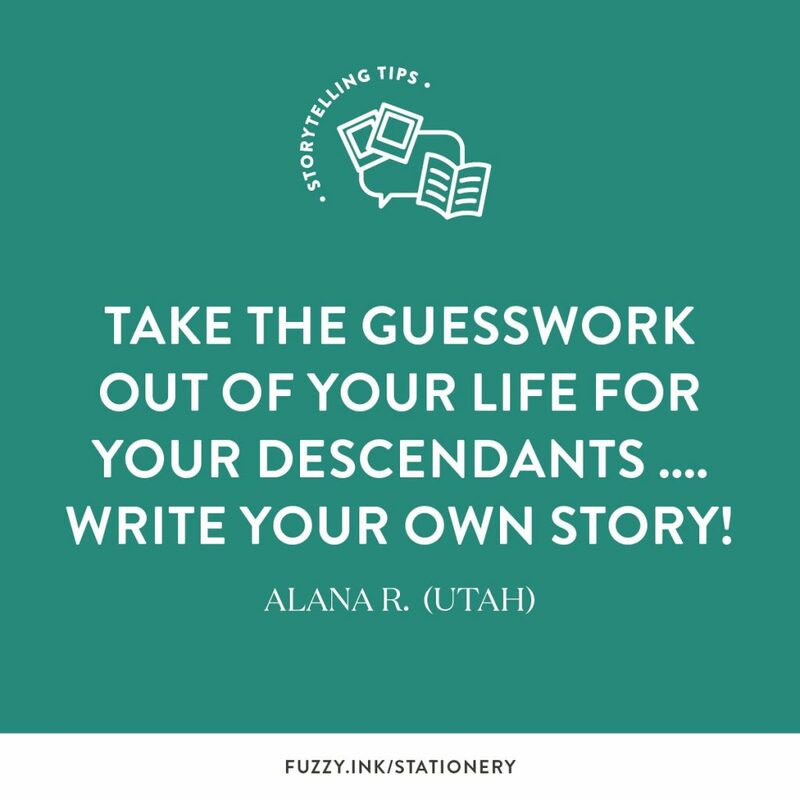 Writing your own story is starting a conversation with your descendants. It can be a series of postcards, videos or audio recordings. Or a traditional diary or memoir. 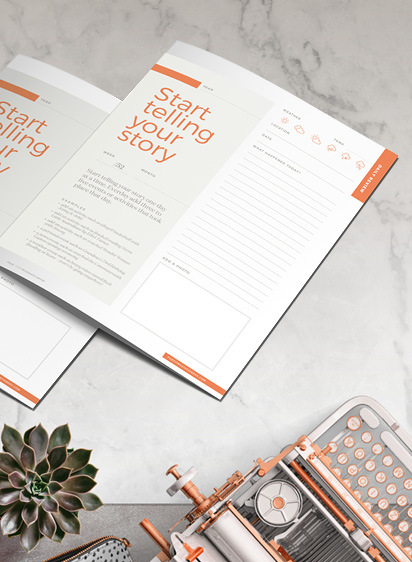 You could even create a set of scrapbook pages to show your day-to-day life. Include items such as movie tickets, bus passes and travel itineraries. It’s about capturing the story of your life that you want to share with the future generations. Do you have a story or tip (or two!) 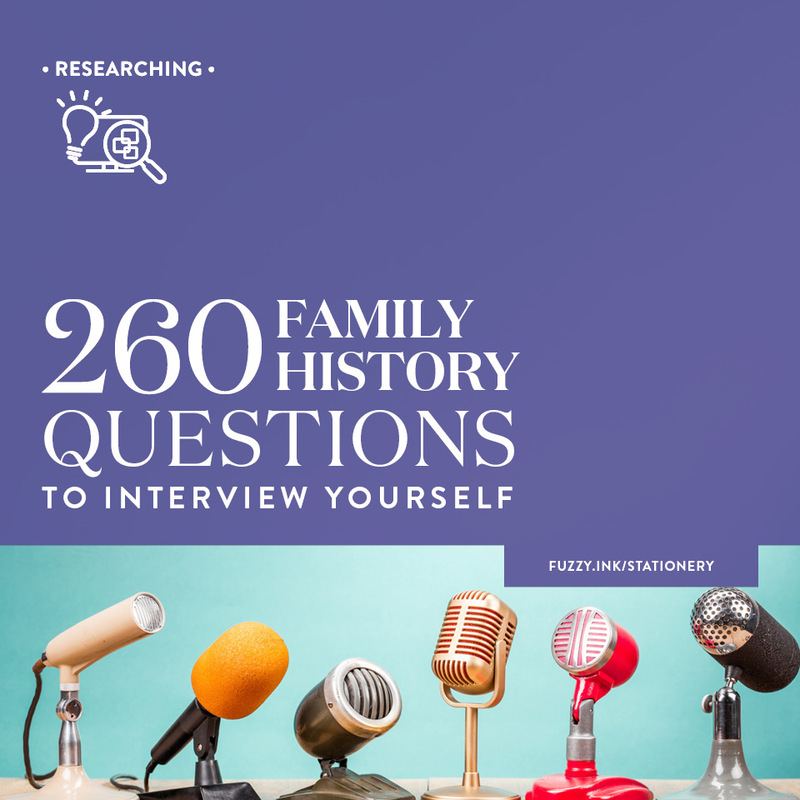 from your genealogy journey to share with your fellow family history enthusiasts? Take the ‘Spotlight On…’ survey and let me know. Like this article? Share on social media for your friends to enjoy too!